Two seven-year-old children have died in the Mediterranean as hundreds of migrants sought to reach Spain from Morocco, a Spanish NGO said Saturday. Meanwhile 16 Moroccan migrants were reported missing after another boat capsized off the coast of north Morocco. According to the International Organization for Migration (IOM) 42,500 migrants have arrived by sea in Spain since the start of the year and another 433 have been killed during the journey, often made aboard overcrowded and unseaworthy vessels. The death toll is already three times higher than the figure for the whole of 2017. 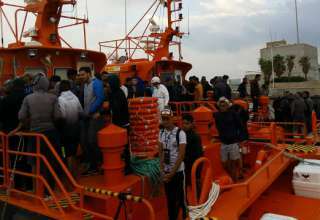 The Spanish sea rescue service said on Twitter that 53 people had been rescued in the waters between Spain and northern Africa as migrant boat took on water. However “two lifeless bodies” were also recovered. The Caminando Fronteras NGO, which helps migrants, said that the dead bodies were those of two seven-year-old children.